We take the “pane” out of window cleaning! Guaranteed clean and free flowing gutters. Clean, restore and enhance your property. ALGAE, BLACK MILDEW, AND FUNGUS can cause some serious harm to your roof. If never properly cleaned, they can eat away your shingles and take off years of the roofing. Allowing iDeal to remove these effects prolongs the roof’s health and brings the value & curb appeal back up. We are equipped with the best cleaners and our expert employees will achieve the look you deserve. 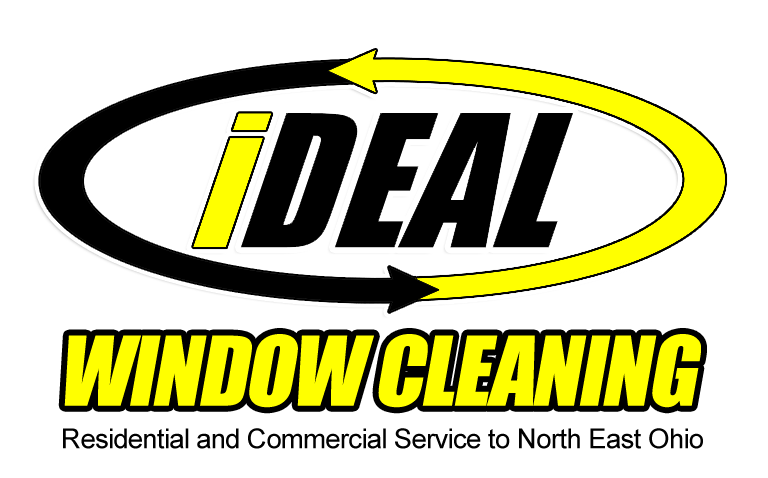 Are you a home or business owner looking for window cleaning and other services? There are many choices out there, but what sets us apart from the other service providers? Simply put – we love what we do! And it shows. We make sure that your home looks the best that it can. We treat your home like it was our very own. We pride ourselves on being professional – not just in our demeanor, but in our appearance, even right down to the equipment we use. We use only the best state of the art cleaning equipment available. Please call or email us today with any questions you may have, or to schedule your free estimate.